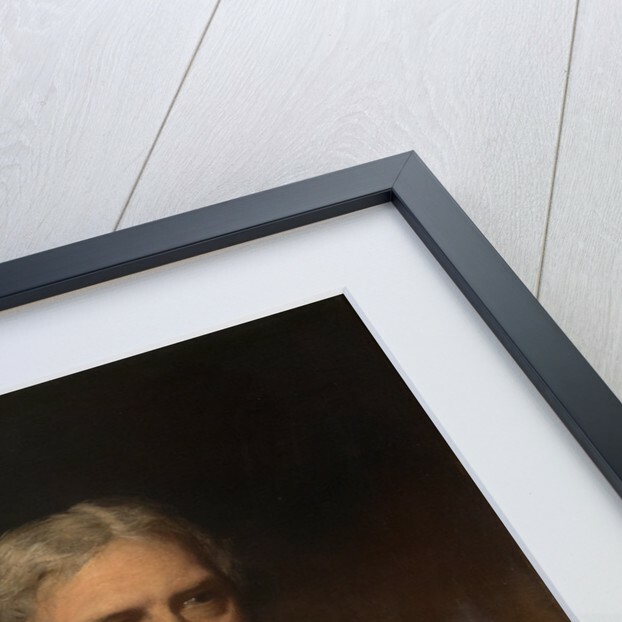 Half-length portrait of Michael Faraday. 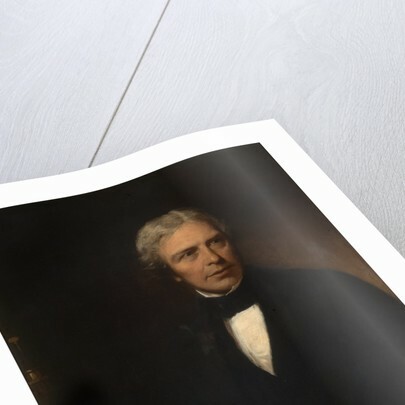 Looking to the viewer's right, his left hand and index finger extended, as if in the act of speaking or lecturing. 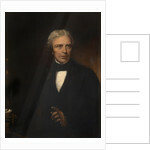 Faraday is dressed in a black jacket and tie, with a white shirt. 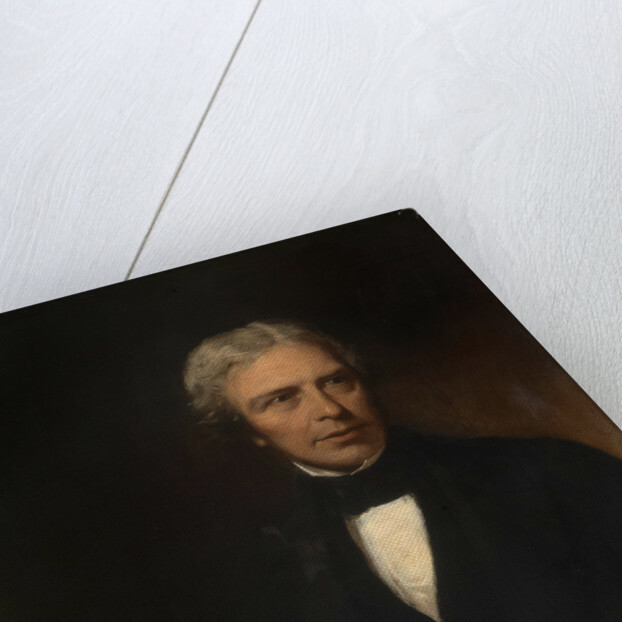 To the left of the painting as viewed is a glass tube with brass fittings containing electrodes and a spirit burner, intended to represent Faraday's work on electrolysis. 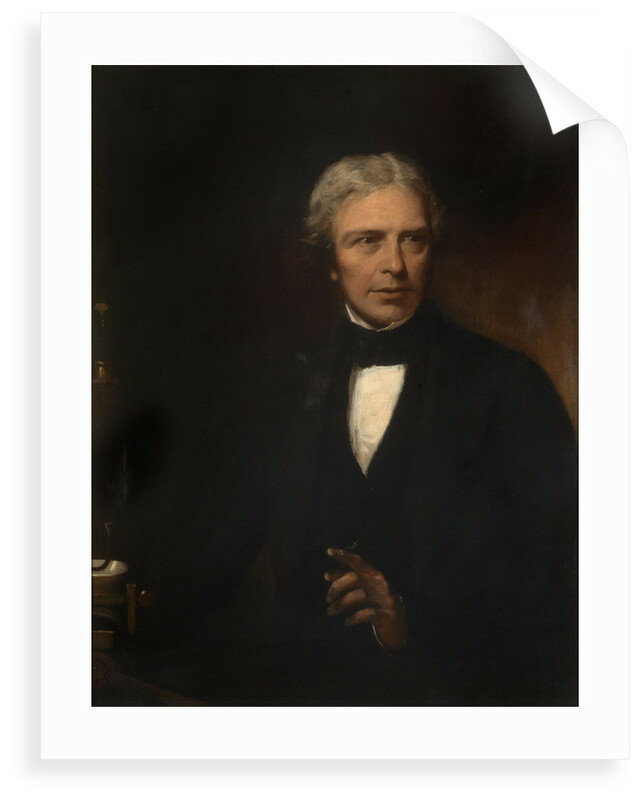 Michael Faraday was elected a Fellow of the Royal Society in 1824. More by the artist Alexander Blaikley.